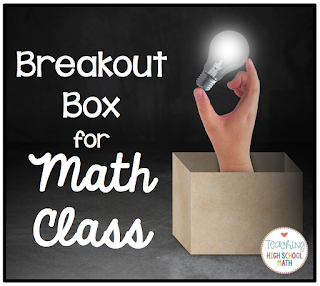 There is a company you can order a box with supplies from [Breakout Edu], but I wanted to buy my own supplies and make a couple of changes. 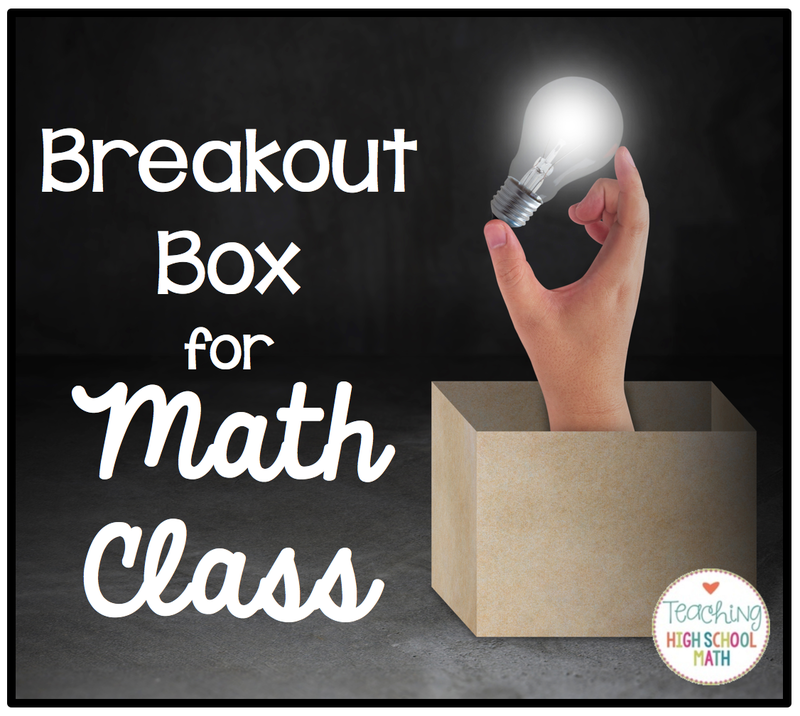 I ended up buying enough to make 4 complete breakout boxes. It was expensive, but I am hoping that I will be able to use these supplies several times a year. 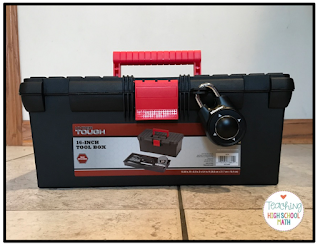 To start this activity, I will hand each group of students a card with directions, 4 problem cards, and the locked toolbox to begin. Students solve the 4 problems which will give them the combination to the first lock which will be on the large toolbox. 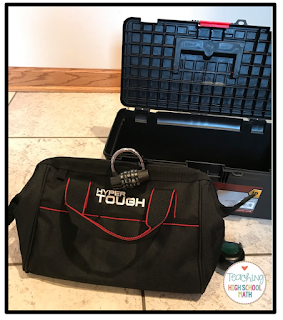 Inside the large toolbox, students will find the Hyper Tough Tool Bag and 5 additional problems on cards. Students solve these problems and unscramble the letters so they can figure out the combination to the word lock. 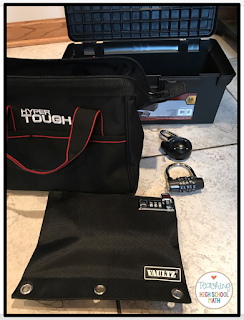 Inside the Hyper Tough Tool Bag, students will find 3 final problems on cards and the Vaultz Binder Locking Pouch. Students solve these 3 problems to determine the combination the Binder Pouch. 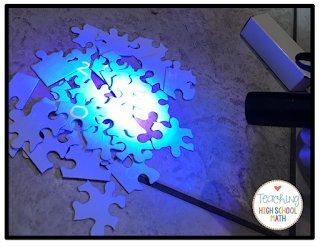 Inside the binder pouch, students will find a jigsaw puzzle they need to put together along with a black light flashlight. Students put the puzzle together and then use the black light to read the secret message on the puzzle which is written in invisible ink. This is awesome! You've inspired me to make my own as well! I LOVE this idea! I just wish it wasn't so much. I'll try to adapt it to something else though! How awesome! !